Sensor uses HX1838, high sensitivity. 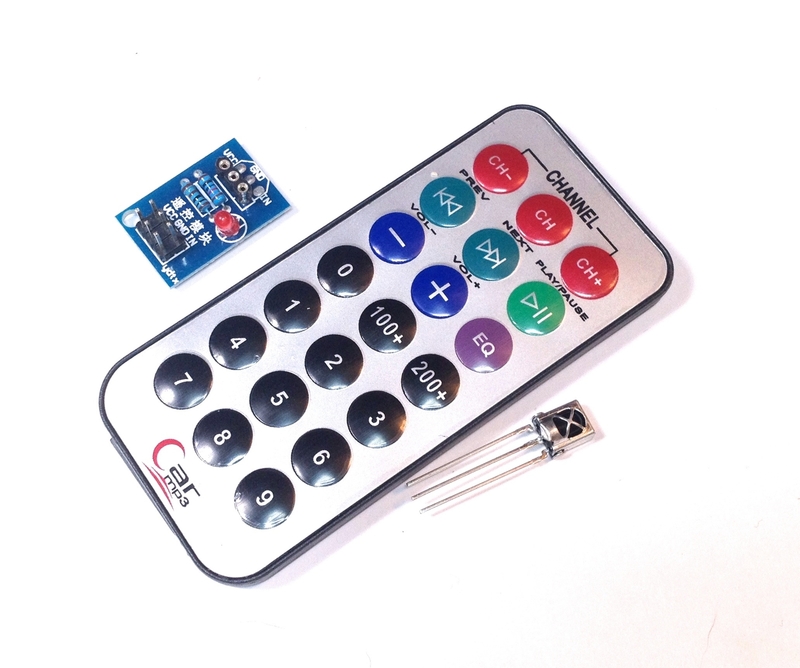 VCC: 3.3V-5V external voltage (can be directly connected to the 5v microcontroller and 3.3v microcontroller). IN: external microcontroller I/O port, I/O port has been designed 10K pull-up resistor. Test distance is about 5-8 meters, but the practical application depends on the ambient factors you use, as well as the middle barrier (such as diaphragm, glass, obstructions or other material blocking), receiving head with HX1838 with power work instructions lights, receive 38K frequency any remote coding data.